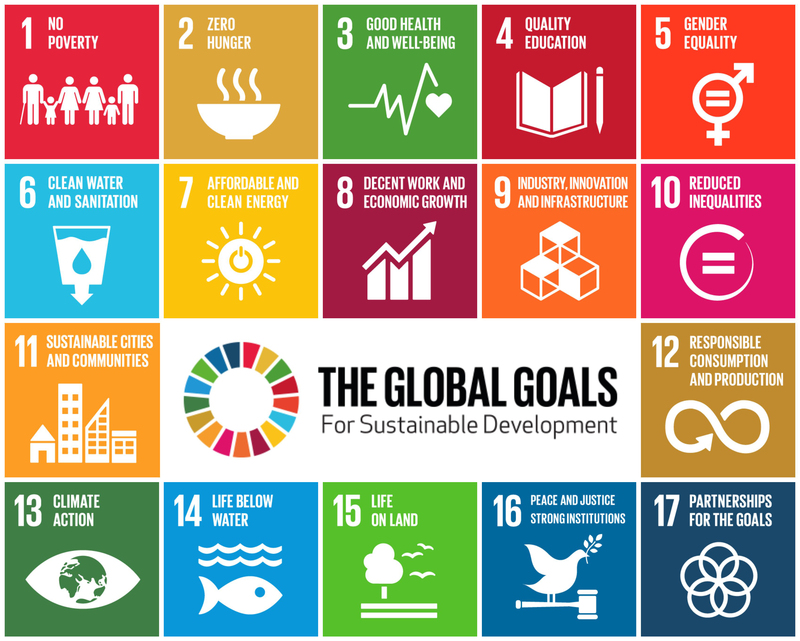 Read more about the Sustainable Development Goals (aka Global Goals) by clicking on the image. In 2015, 193 countries adopted 17 goals to end poverty, protect nature, and ensure prosperity for all. Each goal has targets for the next 15 years. Everyone needs to do their part: governments, the private sector and every individual (our choices matter: what we consume, how we vote). The image shows all 17 goals. All are interconnected. Poverty is related to inequality and justice. Eradicating hunger requires that those with more wealth consume and produce responsibly. And we need to manage land, water and oceans better, as healthy ecosystems are fundamental to life on our blue planet.